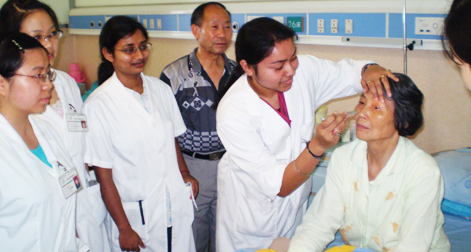 SIEWF shall be conducting MCI screening test coaching in LZMC and Chengdu. Two teachers will be conducting 6 weeks of classes on Internal Medicine along with Physiology and Pathology. The teaching will be on MCQ’s and group discussions along with Mock test twice in a week. The mock test will be discussed with answers on next day. Classes to start from 3rd week of July 2009. Students are required to enroll their names to coordinator - Mr. Puneeth Rao in LZMC. Parents are required to call Bangalore or Kolkata office to confirm enrollment by 15th July 2009.